Abia is a state in the south eastern part of Nigeria. The capital is Umuahia and the major commercial city is Aba. The commercial hub, Aba was formerly a British colonial government outpost in the region. Abia state was created in 1991 from part of Imo State. 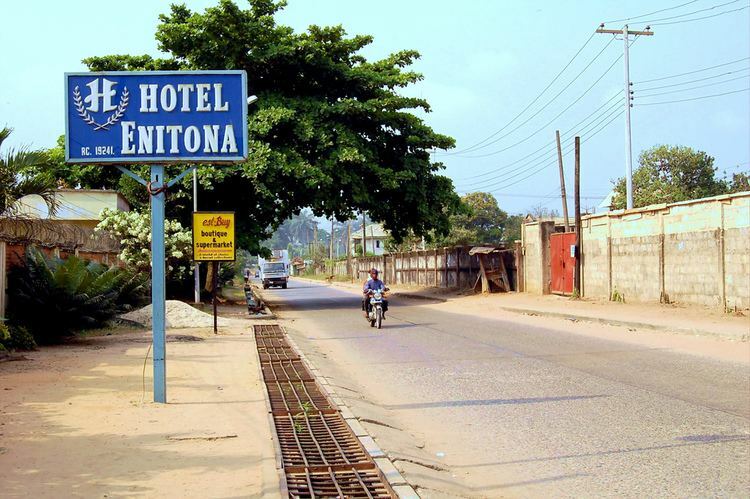 It is one of the constituent states of the Niger Delta region. Abia State, which occupies about 6,320 square kilometres, is bounded on the north and northeast by the states of Anambra, Enugu, and Ebonyi. To the west of Abia is Imo State, to the east and southeast are Cross River State and Akwa Ibom State, and to the south is Rivers State. The southern part of the State lies within the riverine part of Nigeria. It is low-lying tropical rain forest with some oil-palm brush. the southern portion gets heavy rainfall of about 2,400 millimetres (94 in) per year especially intense between the months of April through October. The rest of the State is moderately high plain and wooded savanna. The most important rivers in Abia State are the Imo and Aba Rivers which flow into the Atlantic Ocean through Akwa Ibom State. Crude oil and gas production is a prominent activity, as it contributes over 39% of the State's GDP. However, the Indigenous oil companies, through the Marginal Fields Programme (MFP) have not found it easy to attract the requisite funding and infrastructural capacity to explore some of the marginal oil fields, about 50 in the State. The manufacturing sector only accounts for 2% of the GDP. The industrial centre of the state is in Aba, with textile manufacturing, pharmaceuticals, soap, plastics, cement, footwear, and cosmetics. In addition to the above, Abia State Government have just built a 9000 capacity multi purpose International Conference Centre in Umuahia. This edifice of international standard was built by Governor T.A Orji to enhance tourism as well as boost the State economy through hosting of major International and Local events. Representing 27% of the GDP, agriculture, which employs 70% of the state workforce, is the second economic sector of Abia. With its adequate seasonal rainfall, Abia has much arable land that produces yams, maize, potatoes, rice, cashews, plantains, taro, and cassava. Oil palm is the most important cash crop. There are over 100 oil wells and 3 installed flow stations in Abia State. There is also an associated gas plant, Abia/NNPC gas plant. As of 2012, boundary Commission said it returned 42 oil wells from neighbouring Rivers State to Abia. This would have meant Abia being fourth largest oil producing state in the county. Oil giant, Shell, holds most of the licenses for the wells in the State and has concentrated on the estimated 50 wells that are considered high-yield. The State produced 36,000 barrels of crude oil per day; "Imoturu produces 23,000 barrels per day and Isimili flow station produces over 8,000 barrels of crude oil per day. Then four oil wells in Izaku go to Obigo flow station. About 30 oil wells from my village go to Umuri and about eight oil wells from Umurie go to Afam", lamented Samuel Okezie Nwogu, Chairman of Abia State Oil Producing Development Area Commission (ASOPADEC). However, the State has complained of poor funding from its oil revenue federal allocation. Our people are really suffering, and there are lots of projects we can still execute to alleviate their sufferings. There are four universities in the state: the federal-owned Michael Okpara University of Agriculture at Umudike, the state-owned Abia State University in Uturu, the Gregory University Uturu (privately owned) and Rhema University in Aba also (privately owned). There are two tertiary hospitals, the Federal Medical Center in Umuahia and the Abia State University Teaching Hospital in Aba, which serve as referral hospitals in the State. The Abia State Polytechnic is also in the city of Aba. There are two major power plants in Abia, The Alaoji Power plant and the Geometric Power plant. Abia is one of the most peaceful states in Nigeria and has been a "haven" for foreign investors. The state's population has grown rapidly since its creation. The nearest airport to Abia is Sam Mbakwe Cargo Airport (Owerri Airport), an hour drive to Umuahia and Aba; and Port Harcourt International Airport, 2 hours. Uyo Airport, Akwa Ibom State can also serve would be visitors. The Distance between Uyo (Akwa Ibom) and Umuahia (Abia) is: 73.28 kilometres (45.53 mi). The rail transport is also another means of travel, very effective but currently on revitalisation. Aba is connected to Port Harcourt by rail. The Coastal parts of the State are equally accessible with boats and canoes. 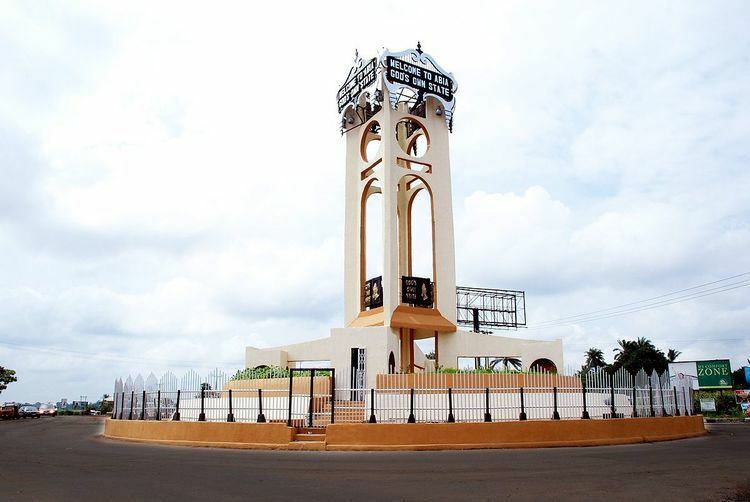 Abia State was carved out of the former Imo State in 1991. The name "Abia" is an abbreviation of four of the state's densely populated regions Aba, Bende, Isuikwuato, and Afikpo. It is one of the thirty-six (36) States with seventeen (17) Local government areas (LGAs) that constitute the Federal Republic of Nigeria. Abia people are of the Igbo ethnic group who are one of the indigenous peoples of Southeastern part of Nigeria. Their traditional language is Igbo as its citizens are predominantly Igbo people (95% of population). English is widely spoken and serves as the official language in governance and business. Abia's over 2.4 million people are mainly Christians. In 1999 Nigeria became a democracy, and Orji Uzor Kalu contested on the platform of the People's Democratic Party (PDP) and won the Governorship election in Abia State. Consequently, he was sworn-in on 29 May 1999. In 2003, when it was time for fresh elections, Kalu re-contested on the platform of the PDP and got a second mandate to govern. (The Constitution of Nigeria limits Governors to two terms in office.) Theodore Orji (PPA) defeated Onyema Ugochukwu (PDP) in the 2007 general elections to become Abia's next Governor.In 2011, Theodore Orji decamped from PPA to the PDP and was re-elected for another four-year tenure. On 11 April 2015, Okezie Ikpeazu was voted as the ninth Governor of Abia State under the platform of the People's Democratic Party.